Buzzfeed Motion Picture's first effort for the UK market is for Costa Coffee. Attention UK marketers: Do you want something like this Purina Puppyhood video (seven million views on YouTube and counting)? Yeah, you do. And you can give it your best shot now Buzzfeed Motion Pictures is launching branded video content in the UK, offering access to Buzzfeed video producers in London and New York. First up is a piece for Costa Coffee, "Little things that make people in Britain happy", due to hit next week if not before. Brand Republic saw a preview of the spot, in which pairs of British people sit behind a table displaying Costa branded mugs, ad libbing and drawing things that make us Brits smile - Tea, biscuits, queues, amateurish drawings that sort of look like rude objects, those sort of things. Caroline Harris, marketing director at Costa, said they worked on the video with Buzzfeed to cement their social lead over rivals, to highlight their British heritage and to complement their wider 'Moments of Happiness' campaign. Harris said they were gunning for one million views, a third of which would be organic. Tune in tomorrow for the full story. ITV has confirmed plans to buy UTV Media, the owner of Talksport, for £100 million, financed through existing cash and debt facilities, Campaign's Omar Oakes reports. UTV owns 12 local radio stations in England, as well as Talksport and Sport, the free magazine. It also oversees the running of the ITV network across Northern Ireland since Ulster Television was founded in 1959. The deal is subject to regulatory approval, as well as approval from the shareholders of UTV Media plc. If completed, ITV would own 13 of the 15 regional licences for the Channel three network. UTV is the most watched channel in Northern Ireland and UTV Ltd also owns UTV Ireland, which launched in the Republic of Ireland on 1 January. 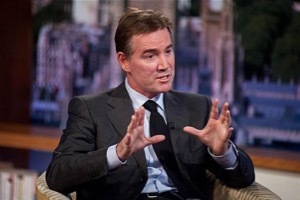 UTV reported pre-tax profits of £17.2m for the calendar year 2014, but in August it reported that pre-tax profits fell by 90% for the first half of 2015. Read on for more about the current state of UTV. If trade press headlines were profits, Tesco would be in a good place. First, here are those adverts we told you about on Friday. Campaign's Kate Magee has been talking to Michelle McEttrick, Tesco's group brand director, about the supermarket's new ad strategy. As well as making staff advocates for the brand, Tesco will also try to differentiate itself from competitors by moving away from advertising price deals on certain products, instead trying to build a brand personality and take a humorous tone, as well as being useful. So recent print ads have focused on utility. For example, one shows the size of a portion of cooked spinach, while another features a shoe size guide that parents can use to measure their child's foot at home. 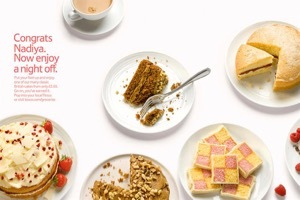 A recent campaign around Bake Off included reactive print ads and a series of baking video tutorials. Twitter named Tesco as the number one brand for activity around Bake Off. And in other Tesco's news, Tesco Ireland is running a "big can be good" spot by Rothco, and Marketing's Sara Spary reports that the brand has filed to trademark the term "Tesco Now", prompting speculation it could be readying the launch of a one-hour delivery service. 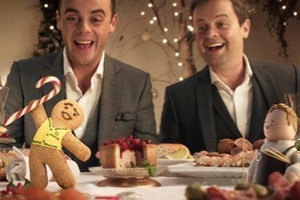 Morrisons, the supermarket chain, is planning to review its creative ad account, Campaign's Gurjit Degun reports. DLKW Lowe, the incumbent, will not be repitching for the business. Richard Warren, the chief executive of Mullen Lowe London, said: "Morrisons has changed a lot this year and it is clear we’re not the right agency for them going forward." Campaign understands the retailer has approached creative agencies about the review. Bookmark this page to keep up with the latest advertising pitch news. Writing in Marketing, retail, customer insight and loyalty expert Marie Anderson has unpicked the areas the retailer needs to focus on with the launch of its new loyalty scheme, Sparks. Keep it simple: "Customers don’t warm to schemes they don’t really understand." Integrate it seamlessly: Anderson's own experience doesn't bode well, and "other users took to Twitter when they could not activate cards online." Motivate customers to use it: There's the gamification aspect. "Where I think M&S has been extremely canny," Anderson says, "is in linking charitable donations to card usage." 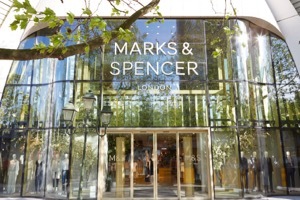 Using the insight to shape the business: "To get best value, Sparks must help M&S to build a richer picture of their different customer segments, their lifestyles, shopping and channel preferences. Most importantly, M&S must use this insight and turn it into action – to shape ranges/formats, guide promotional strategy, develop own label, and to push customers up the loyalty ladder." Read on for Anderson's assessment of M&S's scheme in each of these areas.